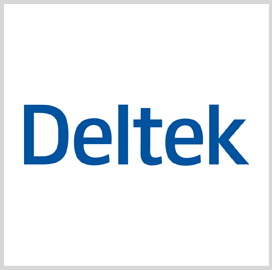 Deltek has released a report that forecasts federal information technology spending will shrink from $112 billion in fiscal 2013 to $102 billion in fiscal 2018 as the federal government continues to save costs. The Federal IT Market FY 2013-2018 report analyzes the budget decline and growth for hardware, software, IT, communications and network services with the goal of helping contractors plan and develop strategies, Deltek said Friday. Alex Rossino, analyst at Deltek, attributes the reduction in budget to initiatives aimed at removing redundant spending, adding that budgets for cloud computing and consolidation will continue to grow. Deltek reports the Office of Management and Budget has requested a 2.1 percent increase in IT budget for fiscal 2014, while intending to save $3 billion from data center consolidation, shared services and cloud computing. In the long term, the OMB will look to eliminate waste, seek alternatives and adopt strategic sourcing to reduce costs, according to Deltek. The research firm also predicts federal agencies will carry forward investments in cybersecurity, intelligence, surveillance, reconnaissance and mission applications.